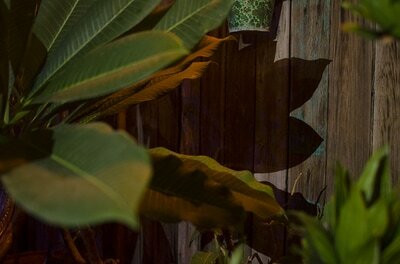 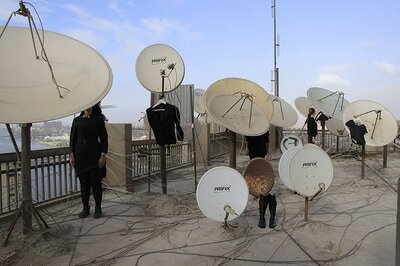 ​to stage photographs through playful interactions in semi-public spaces. 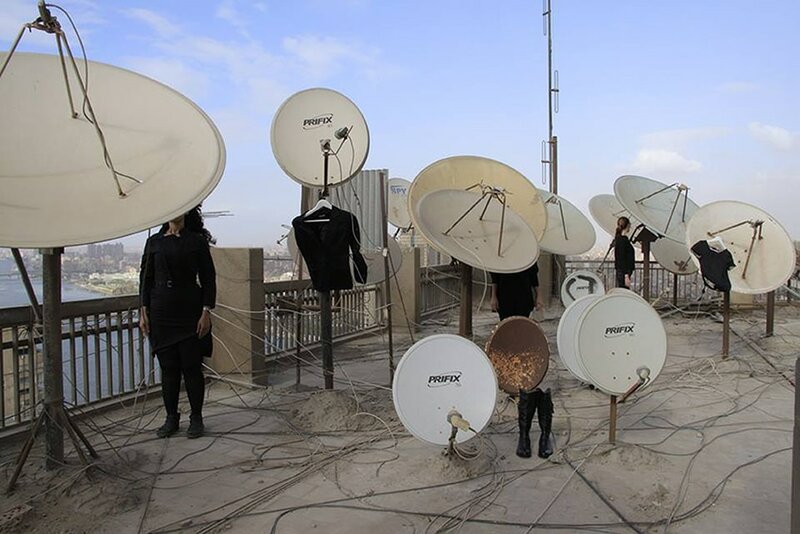 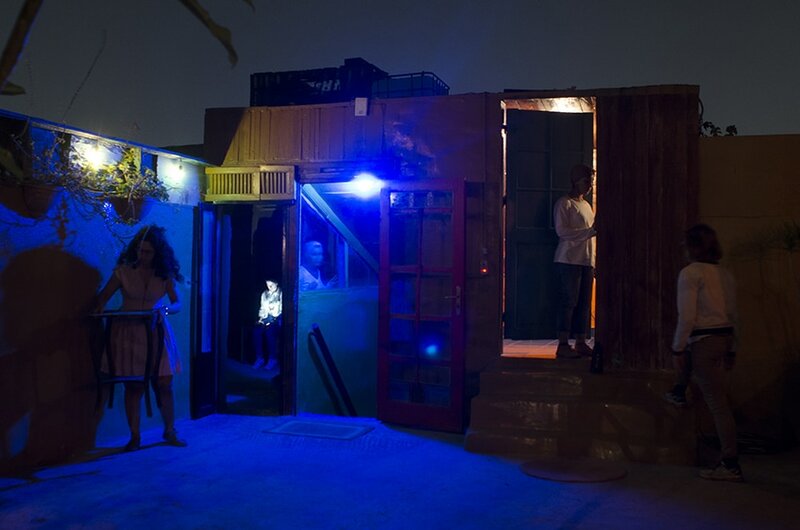 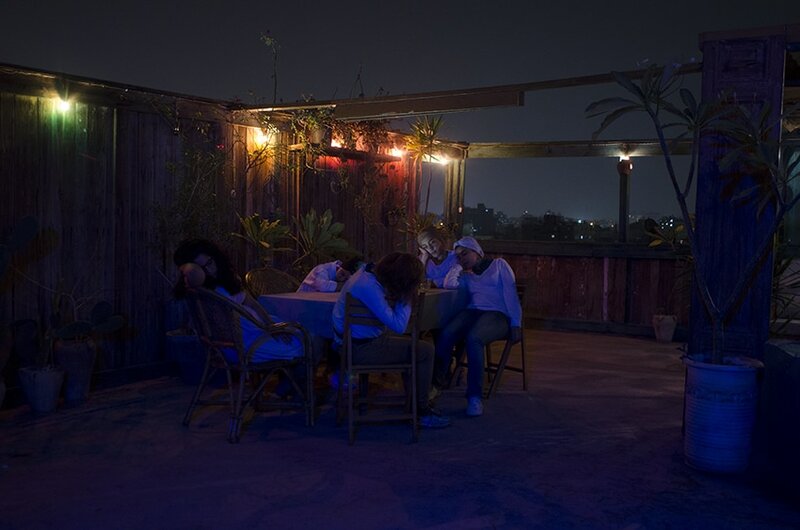 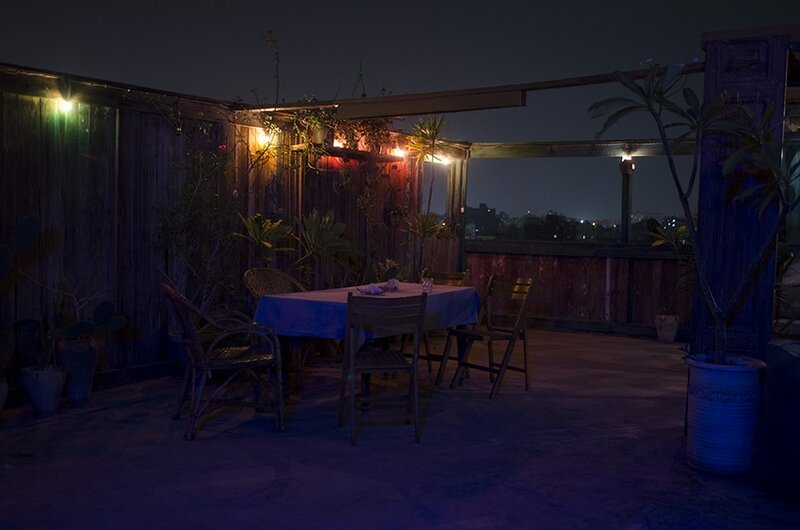 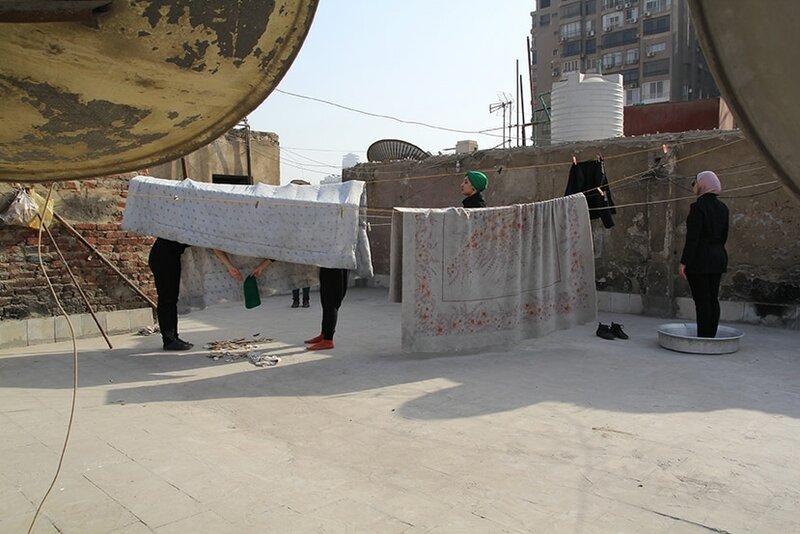 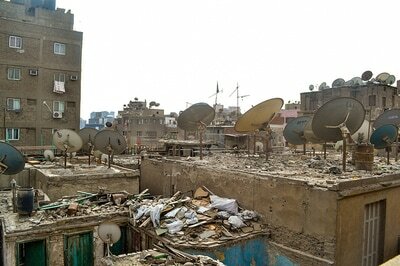 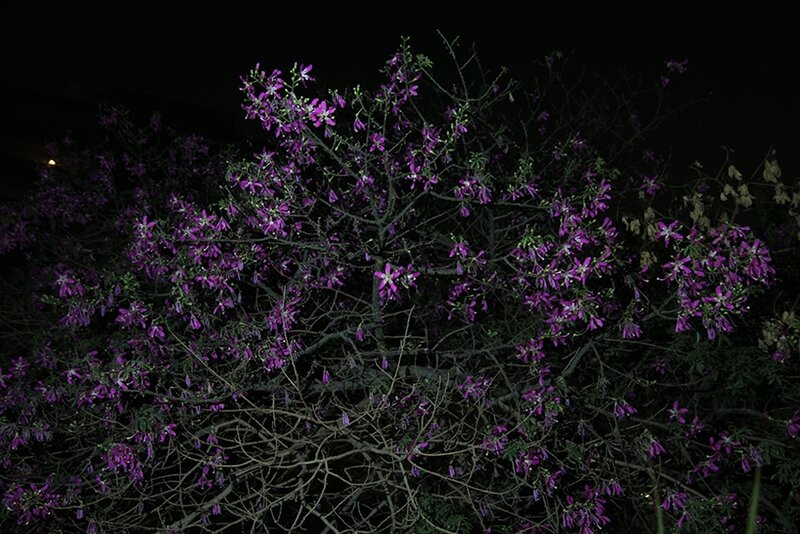 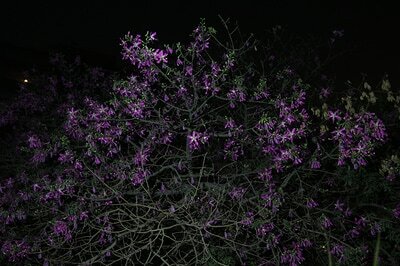 ​Act 1: The Roof is the first public exhibition of Cairo Bats work and assembles a series of pictures spanning a period of two years taken on roof tops in the city. 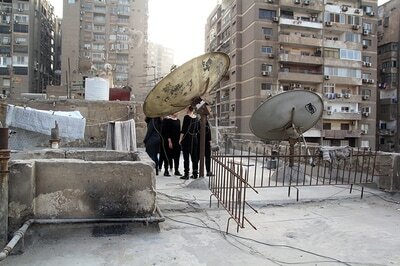 Cairo Bats are currently working on a new body of work under the working title Act 2: The Play. 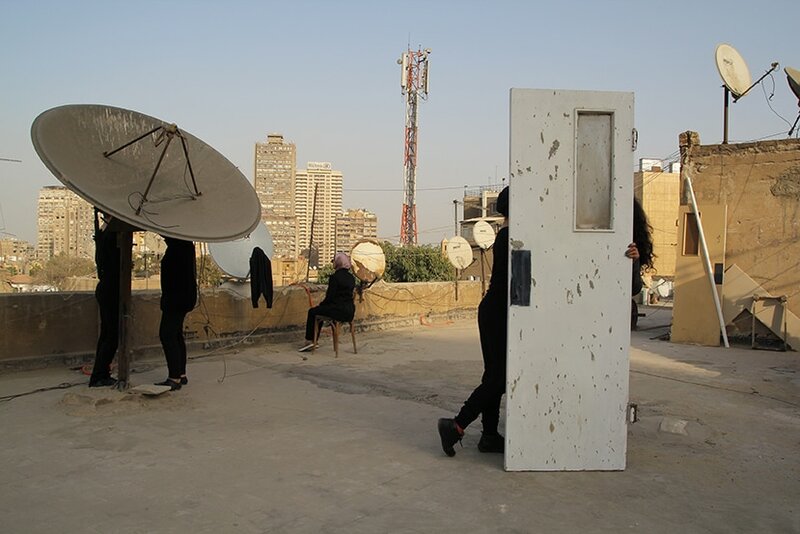 The act of taking photographs in a semi-public space navigates and defies the conditions of visibility in everyday environments. 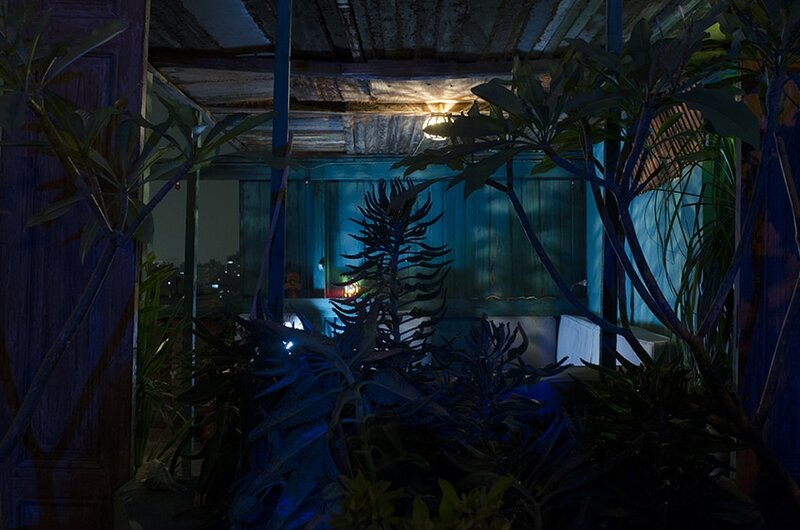 The location of the roof at the margins of the domestic order of the house or the apartment, in between the private and the public, echoes in the groups recurring play with what can be seen and what is hidden from view and their relation to topics inherent to working with cameras such as the picture frame, light and darkness or the camera position. 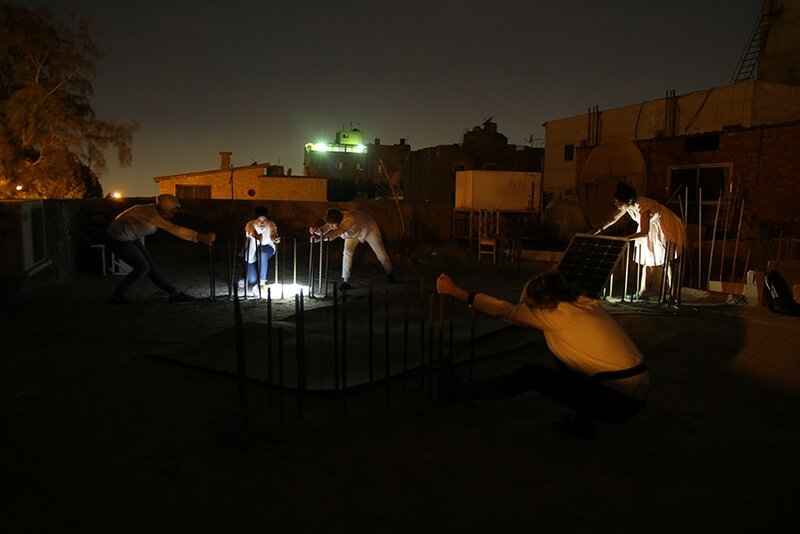 Combining pictures taken in different locations, by day and by night time, from the earliest working sessions to the most recent one, Act1: The Roof shares with the public what has so far been a working process within the collective. 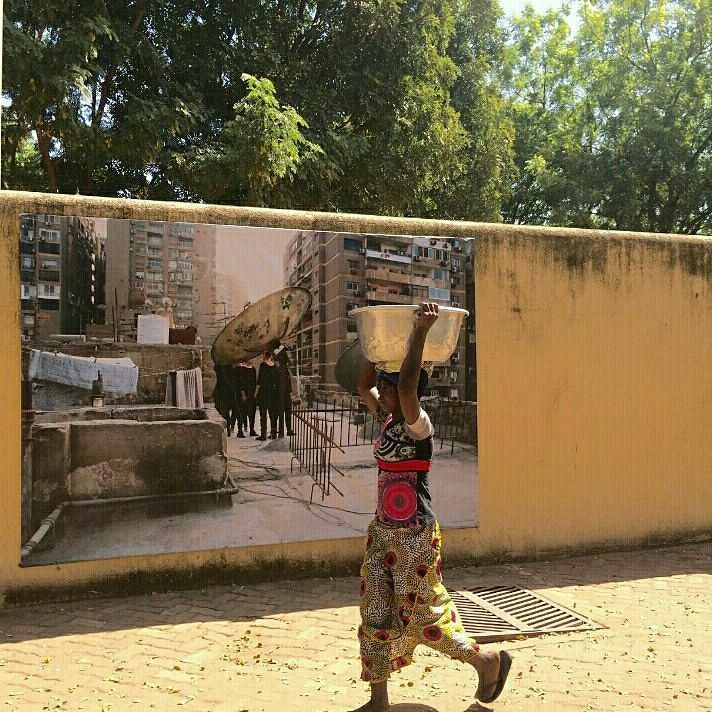 ​at the National Museum of Mali.